"The Last Chinese Chef"--Exciting News Update! Hello Everyone! I hope your summer is going well. I am happy that everyone seems to be enjoying "The Last Chinese Chef" so much and I have a couple of exciting pieces of news to share with you. First off, our author, the wonderful Nicole Mones, has agreed to be our judge for this round of Cook The Books! It is always nice when an author gets involved with our group and Nicole, even in the midst of heavy re-writes for her next book has so generously offered her time. In addition to judging, Nicole wanted to make sure that we had some additional resources for recipes. In her own words, "Honestly, the recipes that would most relate to the novel (i.e. dishes that appear in its pages) are rather difficult to reproduce. Sometimes this is because they are just complicated; sometimes it is because the chef who gave the recipe wanted to hold back something proprietary (as is the case with beggar's chicken), and sometimes it is because the chef, despite best efforts to convey the recipe, cannot really do it so well because Chinese cuisine is not recipe-driven; it is taught by apprenticeship. It's hard for chefs to think in terms of codifying their process in writing. I have so often seen Chinese chefs flummoxed by the effort to create a written recipe. This is the case with Henry Chang's pork ribs steamed in lotus leaf and his 'snow cabbage and bean sheets' - I know him well, we have collaborated on many banquets (organized by me, designed and cooked by him), I have profiled him in the press, and he has really tried to give me some of his recipes. But his skills are so highly developed and instinctual that even following his recipe often does not quite achieve the same dish." In light of this, Nicole added a page to her website with some recipes that she has collected in China over the years for us to use as a resource. They can be found at her website under Recipes for "Cook the Books.". (Here is the link to our page) Nicole says: "Of course some may have their own recipes, I just thought this would be fun. These are people who love to cook and these dishes, though not related to the novel, are all interesting recipes." How great is that?! So if you have not selected a recipe yet, you have another resource for some very delicious sounding dishes to chose from. Remember you have until Friday, August 28th to read the book and post your recipe. (A favor: when you have posted please leave a comment here on the CTB site or email me at debinhawaii@gmail.com and let me know so that I can be sure to include you in our round-up.) Everyone is welcome and there is still plenty of time to join in. 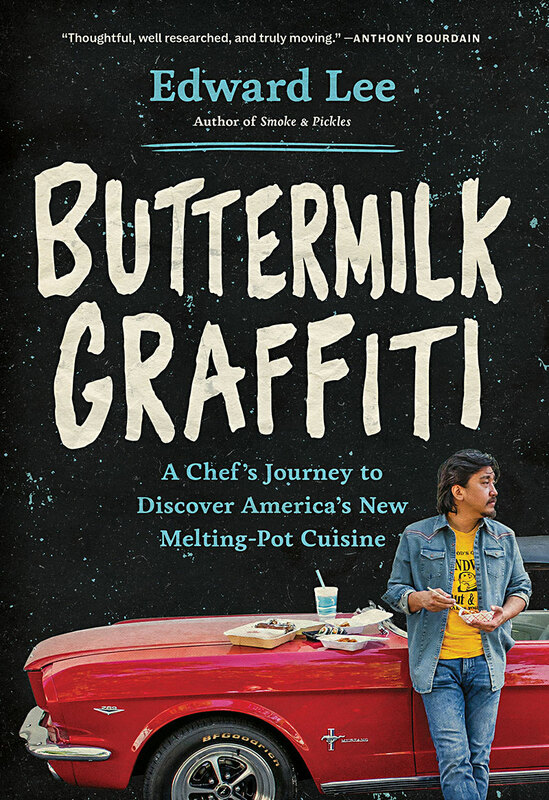 We look forward to seeing your culinary interpretations of this wonderful book! 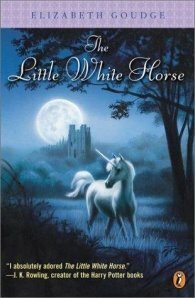 There were so many wonderful blog posts and lovely food inspired by the prose in Elizabeth Goudge's "The Little White Horse". Congratulations to all the participants for putting together such a sweet array of things to read and eat and it certainly looks like everyone had fun with this book pick. Our gracious guest judge, Deborah Gaudin of the Elizabeth Goudge Society, wrote a wonderful post there about our Cook the Books roundup and has also made her decision about the winning entry. ~ In 3rd place Suzie's Strawberry Sponge Kisses. I loved the originality of the recipe, while seeing where the inspiration for them came. They look as sweet as a Loveday kiss should be. In 2nd Place Deb's Turkish Delight Syllabub. This has always been one of my favourite desserts since being given it is eat at my first grown up dinner party at my Headmasters house. It wasn't Turkish Delight flavoured however, another indulgence I love. So the two combined were always on my short-list. Heathers's (Girlichef) Candied Cherries. Such a simple dish, yet just the sort of pleasure that Elizabeth herself might have chosen. Elizabeth had a simple diet and palette, preferring good plain cooking with home grown ingredients. I suspect that the Cherries would have enchanted her. I was also impressed that Heather had actually quoted the page the reference came from. I enjoyed her write up of the book and thought her dish perfect." A hearty congratulations to Heather for these fab candied cherries and for an enthusiastic post about "The Little White Horse". As the winner, Heather will receive a Cook the Books Winner's Badge for her blog and be added to the Cook the Books blogroll. A heartfelt thank you to Ms. Gaudin for devoting so much thought and time to our little virtual book club. I know I really enjoyed dipping into Ms. Goudge's writing (thanks for the recommendation Foodycat!) and have some other of her novels on my book hunting list. 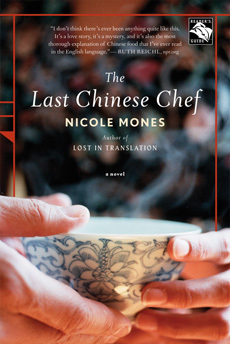 I now pass the torch on to the next Cook the Books host, Deb of Kahakai Kitchen, who has selected Nicole Mones' novel "The Last Chinese Chef" for our reading selection. Anyone can join us in reading this book, cooking up something inspired by it, and then blogging about it. You don't even have to be a blogger to participate. Just let Deb know that you would like to join in the fun by leaving a comment below and she'll blog up your post for you. The next deadline for Cook the Books is Friday, August 28th, 2009, so go buy or borrow a copy of this sumptuous sounding novel and meet us back here for some bookish and cookish discussion.